Intel NUC Skull Canyon NUC6i7KYK Kit with 6th Gen.
Deceptively small at only 8.3" x 4.5"
The new $649 Intel Skull Canyon NUC is the latest entry in the world of mini monster PCs. First, it has a skull, so you know it’s not a typical office micro workstation. The Intel Skull Canyon is a technically a barebones kit, meaning you supply the RAM and SSDs, but the CPU, coolers, fans and everything else is already lovingly installed. What what makes this new PC different other than the robot cranium? The Skull Canyon NUC has the latest i7-6770HQ processor with quad core 3.5GHz turbo speeds. The 6770HQ is the top dog among the low-power CPUs, requiring only 45 watts, rather than the 91 watts required for the i7-6700k and its k-series kin. Also, interestingly, the NUC rocks the Intel Iris Pro 580 graphics powerhouse, the current reigning champ of Intel’s integrated GPUs. The 6700k uses the more standard 530 GPU. Why Iris Pro? For pro graphics. Or near-pro graphics without stepping into NVIDIA’s turf. Skull Canyon also includes double DDR4 RAM slots and twin M.2 NVMe ports. No 2.5″ SATA drives here, the only options are M.2 up to 80mm in length (that’s the standard so no worries there). Some may question the move to M.2 exclusive, but prices are coming way down so grabbing a couple sticks is around the same price-per-gig as 2.5″ models. If you’re not familiar with the NUC line, let’s do a quick intro. “NUC” stands for “Next Unit of Computing” and is pronounced “nook” not “nuck.” Update: Intel says NUC is pronounced "nuck" like "duck" not "nook" like "book." Or "nuke," for that matter. What makes it all next level? Being tiny, naturally. NUC is Intel’s chance to show off different form factors and applications for its processors and associated ecosystem. Being a barebones kit, there’s still a level of complication that prevents the Skull Canyon NUC from competing directly against other lilliputian PCs that non-nerd users would consider buying, like the Mac Mini, arguably the most prolific PC featuring Iris graphics. Of course, assembling the NUC is just about the easiest thing ever. But you do still have to install your own OS and, in certain circumstances, flash the BIOS. Does the phrase “flash the BIOS” fill you with fear? Worry not, it’s not a big deal, I’ll explain why in a bit. Additionally, the Skull Canyon model is wider than previous NUCs, growing to make room for an extra fan and techno skull. Overall, the NUC is 8.31” x 4.57” and just 1.1” tall. Yeah, it’s flipping tiny, smaller than a graphics card and about the same size as a 3.5″ external HDD. The Skull Canyon NUC box contains a second face plate so you can swap out the skull cover if you just want a Plain Canyon NUC. The Intel skull has made previous appearances in its blue form on the Intel 730 SSDs and older enthusiast-level motherboards, some even in black and gold. The industrial design of the NUC is great, going with a honeycomb black-on-black look. The chassis is plastic with a steel interior plate holding the goodies. I would love to see a metal case version like their SSDs. Because the NUC is small and attractive, it really begs to be out in the open, not squirreled away (I’m sure there’s a good “nook” pun to be had). I’d be really impressed if Intel provided the 3D file for printing out a new cover in resin or, better yet, CNCed out of a solid block of aluminum. Sure, it can get expensive, but this is a barebones kit with top level hardware. For the kind of group that would buy these kits like, say, a web firm or design haus or any place that needs some CPU horsepower but doesn’t need a honking NVIDIA in every workstation, a custom Skull Canyon would be a really awesome proposition. Heck, I want one in polished machined aluminum with the Unlocked logo to run my growing Interwebs of Things. If you are the squirreling type, the Skull Canyon comes with a VESA mount for attaching the NUC to the back of a monitor like a sucker fish. Be sure to double check you have a free VESA mount on your monitor, not every monitor can take a NUC backpack. Finally, you also get a power brick. Yes, a power brick like a laptop, good for 120 watts of power. While the NUC runs a 45w CPU, it’s not, you know, a true micro machine. It needs some juice. On the front, you get double USB 3.0 ports, one of which is good for high power charging. The port is yellow so you know it’s got the amperage. You also get a headphone plug, IR receiver and an SD slot. Around back, you have Thunderbolt 3 USB-C port, two more USB 3.0, Mini DP 1.2, HDMI 2.0, S/PDIF optical audio port and power. Personally, I would have loved more Thunderbolt 3 ports. Or only Thunderbolt ports — heck, make the power cable Thunderbolt 3 and provide some old school USB dongles to kick start the Thunder migration. My mantra has been “Thunderbolt 3 All The Things!” for months now. Sure, I have almost nothing that uses USB-C, but Thunderbolt 3 is clearly the future. And I want to live in the future. Got your thermal paste ready? Put it away because Skull Canyon requires only plugging in your SO-DIMM RAM and M.2 SSDs. That’s it, no routing cables or thermal management, the NUC is all about easy. Well, not as easy as buying a pre-built PC, but pretty darn close. Now, SO-DIMM RAM isn’t your typical RAM, it’s the stuff laptops are made of. Here, I snagged 16GB of G.SKILL’S DDR4 2800 speed RAM. Most of the Intel Skull Canyon-approved RAM is of the 2133 variety. I wanted to give the faster stuff a try. You can go up to 32GB if the mood strikes you. As for SSDs, the Skull Canyon only accepts the stick-o-gum sized M.2 SSDs. I grabbed a couple SATA III models as well as a Samsung 950 Pro NVMe. You could theoretically put in 2TB of storage with double Intel m.2 SATA 1TB sticks. Or go with NVMe for 2000GB/s+ speeds and a second SATA backup. 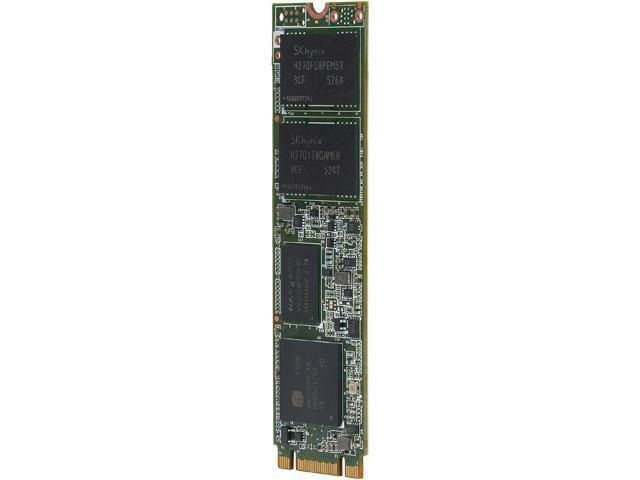 Intel, while starting the whole NVMe speed race, has yet to release an M.2-sized 750 Series NVMe SSD. Well, until Optane SSD arrives, then things get crazy. Also, Skull Canyon supports RAID 0, meaning your NVMe SSDs act as one insanely fast speed demon. Will anyone need that level of performance? Maybe. I can see Skull Canyon acting as an asset server for some serious content creation. The NUC hasn’t started shipping, so the sample I received is a pre-production model that required a trip to the good ol’ BIOS depot over at intel.com. After a seriously quick and painless BIOS update (simply download the .bio file, stick it on a USB drive and plug it into the NUC before installing Windows), I was ready to install Windows 10. Maybe it’s PTSD from Windows days of old, but every Windows install I do I sacrifice a goat to appease the OS gods, lest my install crashes half waythrough. Luckily, Windows 10 installed easy as pie. Actually, all my Win10 installs have been easy. So hats off to Microsoft for, ya know, finally being awesome. Also, Skull Canyon NUC lets you install your fave Linux OS if you want to get fancy. There’s been some talk about Skull Canyon and VR. What’s required to run VR? An i5-6400 and a GTX 970 or higher. Mr. Skull’s Iris Pro 580 graphics, while good, clocks in around an NVIDIA GTX 950m mobile graphics card, a far cry from a GTX 970 full size card. That said, the Skull Canyon NUC has been shown off with a separate Razer Dock and associated GTX 970 graphics card. Now, the Razer dock is a steep $300 update: the dock is actually $499 when purchased seperately. So $300 $499 plus a $300 970 and you’re talking $600 $800. Add that to the $649 for the NUC, $90 for the RAM and around $150 for SSDs and you’re look at $1500 $1700 to be VR ready. That’s hundreds more than competing pre-built GTX 970 VR systems. If you’re building a system, you can assemble an i7-6700 CPU with GTX 970 for $1000 or less. Personally, I don’t see a scenario where I’d want two separate boxes to become VR ready. If you have a laptop, sure, the dock makes sense. But for $800, you can buy a GTX 980 Ti, power supply and a case to stick it in. And the Razer dock isn’t exactly tiny. One can build a full ITX system with the same footprint as the Razer dock, or any GPU dock for that matter. Graphics docks like the Razer make much more sense for a performance laptop battlestation — take your ultra-slim laptop on the road and, when you’re at home and want that sweet virtual reality, plug into the dock. I don’t see a scenario where I’d take the Skull Canyon NUC outdoors for adventures. After all, you still need a monitor, keyboard, power brick, etc. What I’d really love to see is a Skull Canyon NUC with an optional slot for a graphics card. Simply take one of those graphics docks for ASUS or Razer and add the sweet, slimmed Skull i7 goodness. Really, Intel does the heavy lifting with the Skull Canyon form factor. A U.2 PCIe cable could, theoretically, act as a PCIe riser to the graphics card. Then run a companion power brick and you’re good to go. Easily the smallest VR system available, right? That said, I’d love to see Intel really flex its GPU muscles and release an Iris Pro VR. Sure, the thermal management alone would torch a tiny case like the NUC. But the goal is worthy — a small Skull Canyon PC able to run the Vive or Rift. Pretty please? Really, the Skull Canyon NUC is a pretty dang compelling piece of hardware for everyday Photoshoppers and others who want insanely fast NVMe SSDs, 32GB DDR4 RAM and serious performance in a small package. My experience with the tiny powerhouse leads me to believe Skull Canyon is made to show the Mac Mini how a real performance micro desktop is meant to be made. After all, the Mac Mini, as it stands, is around $1400 for a similar-spec i7 with 16GB unit. Actually, Mac hasn’t updated to 6th gen yet because iPhones get priority. So the current Mac Mini is running DDR3 memory (soldered on the mobo, mind you) and older Iris graphics. The Mac Mini is also 7.7” x 7.7” compared to the Skull Canyon’s 8.31” x 4.57”. Skull Canyon beats the Mini in the height department at 1.1” vs Mac’s 1.4”. The Mac has the advantage of including the PSU inside the chassis as well as arriving assembled and machined out of aluminum. It also features an Apple logo which is a big selling point for people into that. After only having a day with the new NUC before PAX East craziness lands, I can say Skull Canyon is one of the more exciting products to hit the micro space. I’ll be posting benchmarks shortly to give you guys an idea of graphics and CPU power. Overall, I’m hoping the Skull Canyon becomes the home base for my growing IoT and connected world. Sure, there’s the Compute Stick as well as full desktops. But Skull Canyon, with up to 2TB of M.2 SSDs and full 4K graphics, makes more sense as an IoT and Smart Home hub connected to a 4K TV and streaming content throughout the house. Check out the Intel Skull Canyon NUC at Newegg.